This polish is very ironic for me. It has my name (but wasn’t named because of me) but its one of my least favorite colors. When I went searching for this polish on the Zoya website I had to laugh because that is my luck. It couldn’t have been pink, purple, green or blue. Even a neutral would have been better than orange in my opinion. But I bought it anyway since it carried my name. Since fall was happening I felt like it was a good time to wear it. 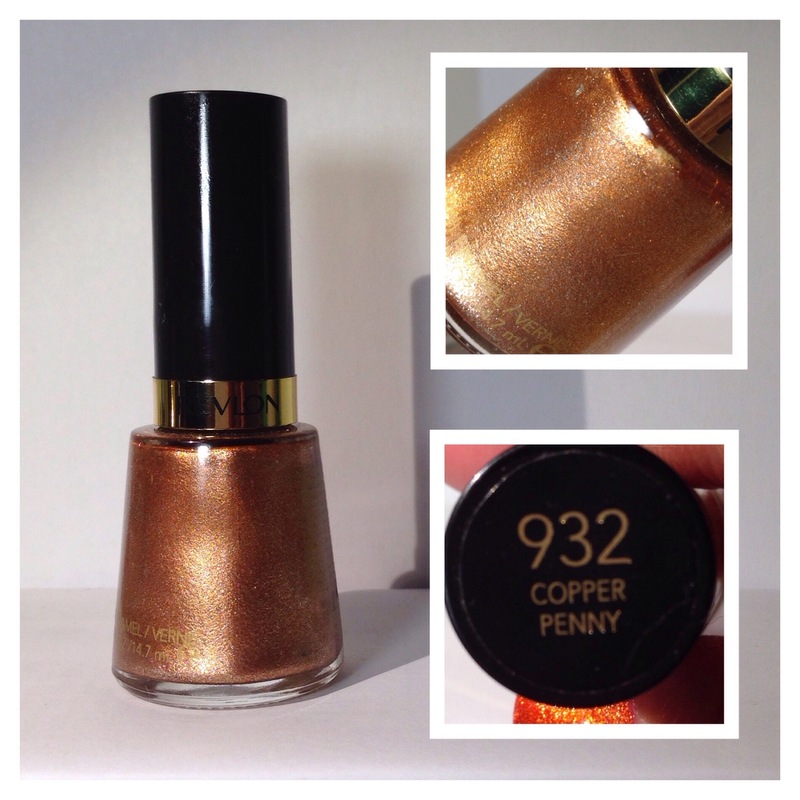 I paired it with Revlon’s Copper Penny. I think these two polishes really compliment each other. I made another attempt at some simple nail art. It actually came out really nice. 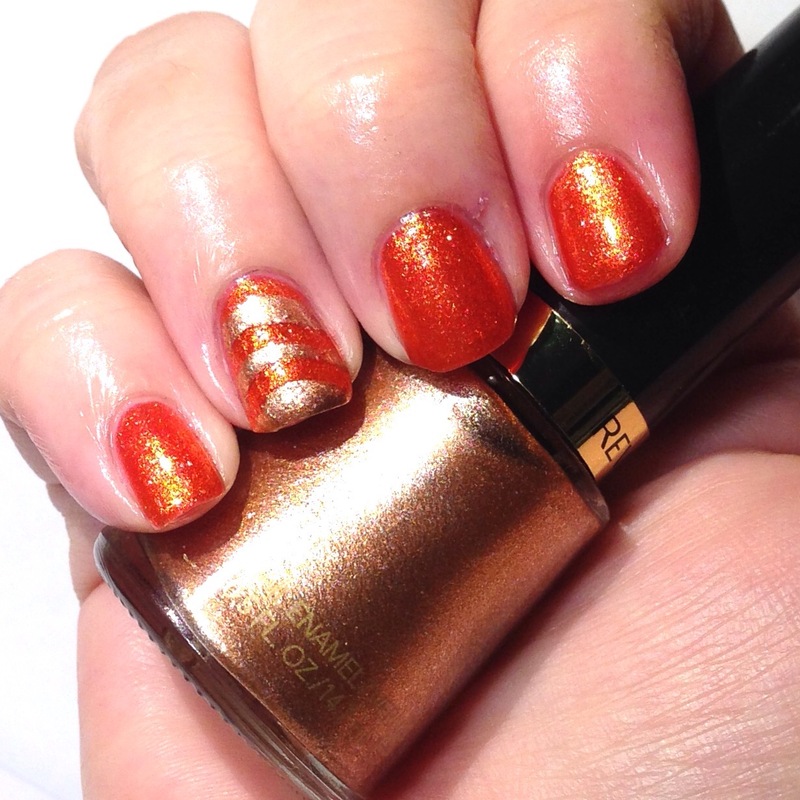 Two coats of Zoya Amy and one thick coat of Revlon Copper Penny. Topped with Girly Bits What A Rush Quick Dry Top Coat. 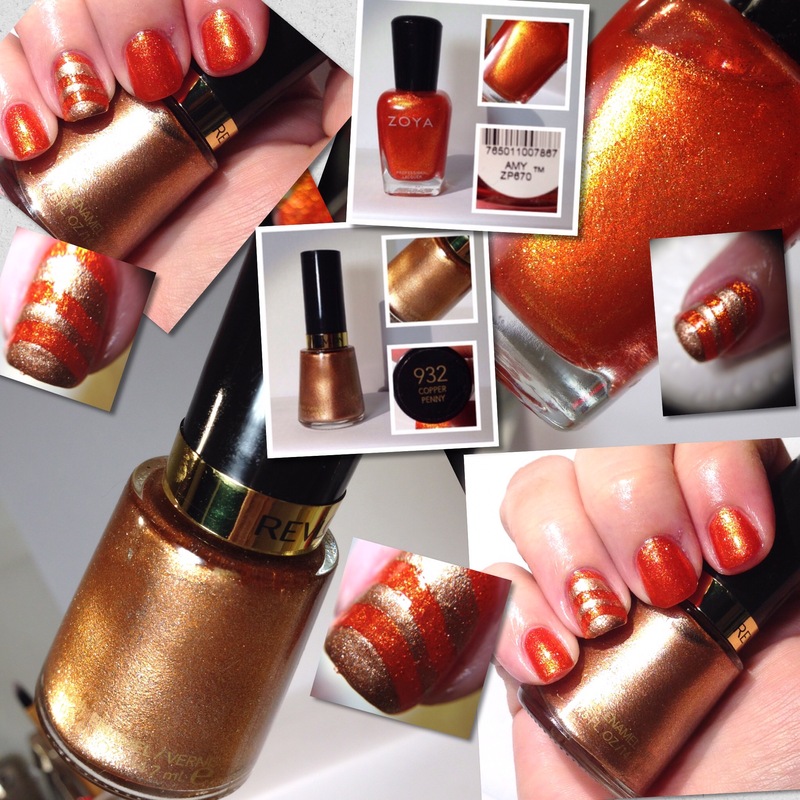 You can find Zoya here and Revlon here. 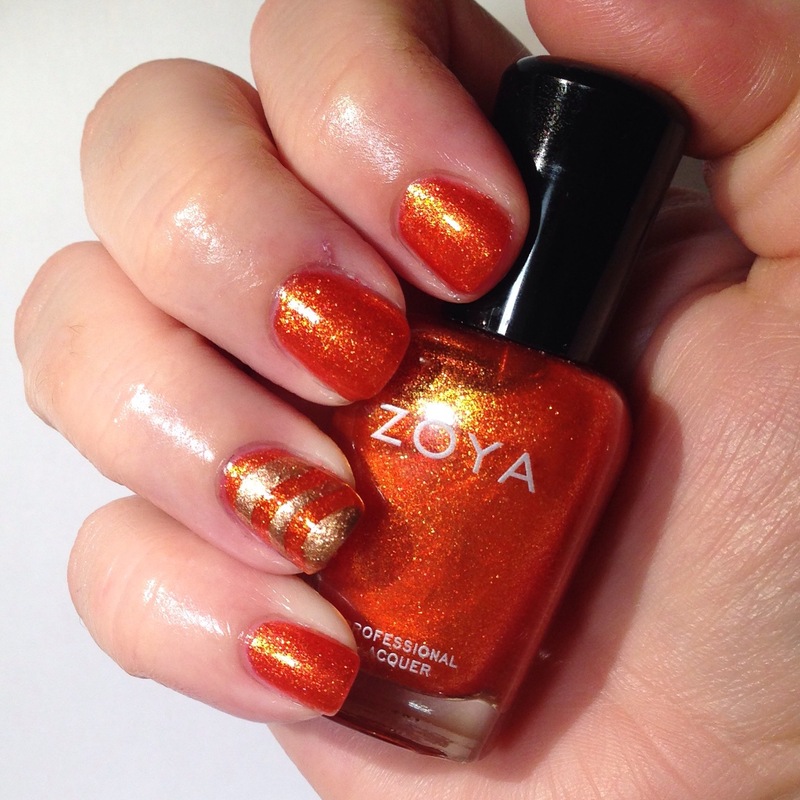 If you can I would wait for Zoya to have a sale on their polish before picking up Amy and most drugstores that I know of almost always have some sort of sale going on to pick up Copper Penny.